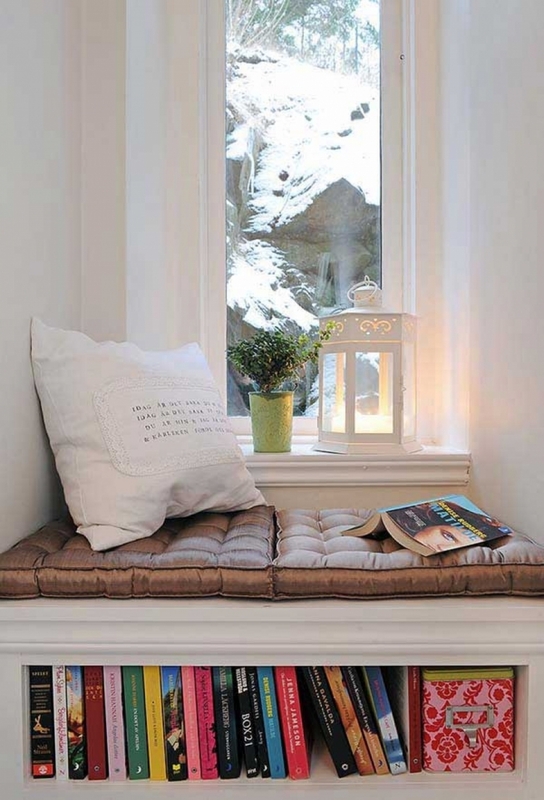 I especially like benches, as they not only look cozy but can also hide a lot of things. 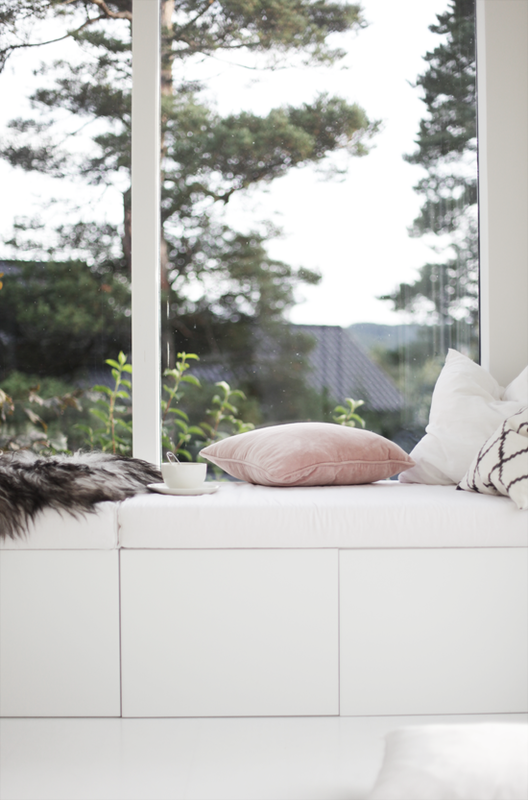 Bench under the window is a very cozy home attribute personally for me. Even though functionally (i.e. 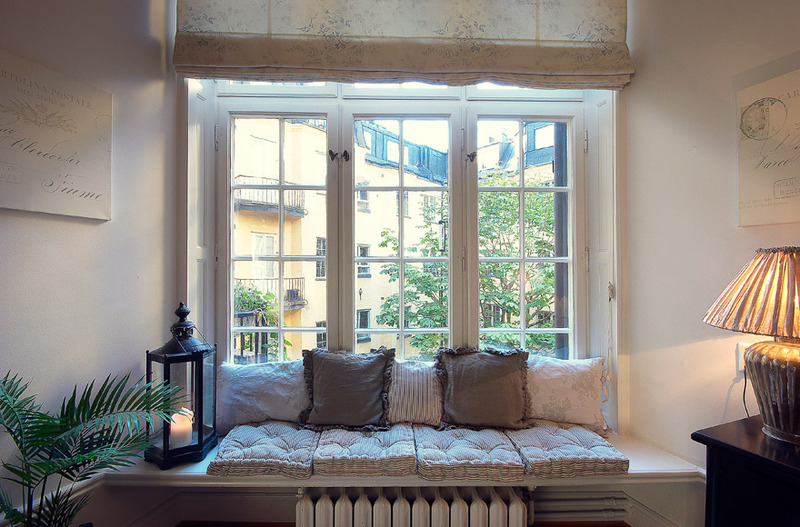 for sitting) I wouldn’t use that but it’s my dream to have such a place. 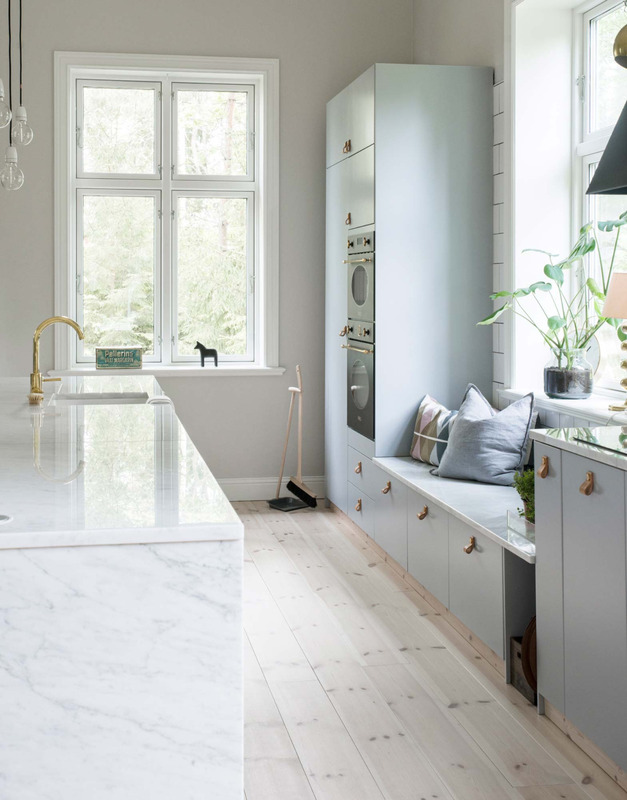 Even though most usually such a solution is used in classical style interiors, a bench perfectly fits and in modern or Scandinavian style space. 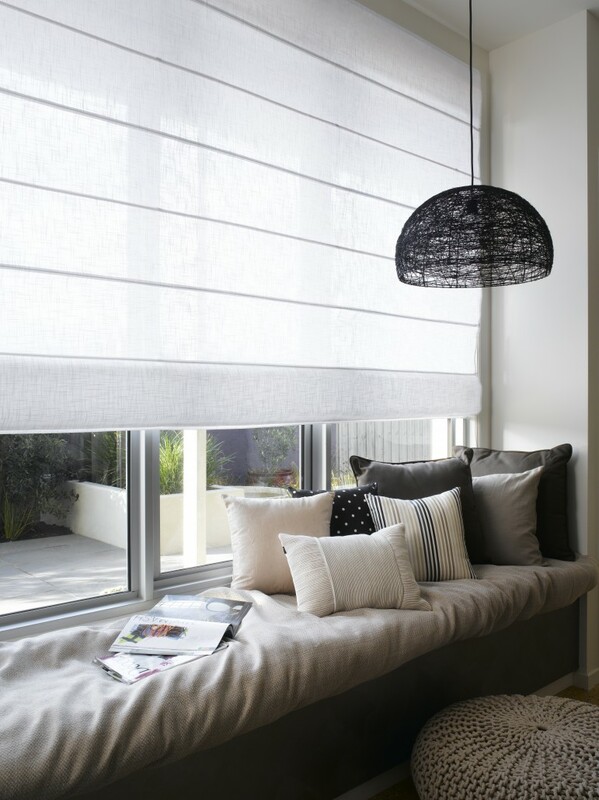 Sometimes a bench under the window is projected so that heaters would be hidden. Well, or at least partly covered. 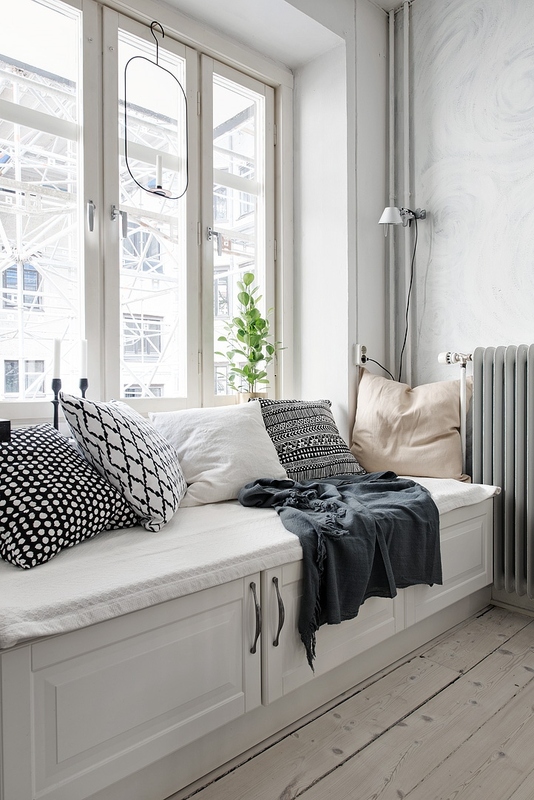 There’s no sense to be afraid of them – if there’s a low heater under the window wooden doors with braids or simply the grates at the bottom or on the sitting surface itself will perfectly fit to hide it. 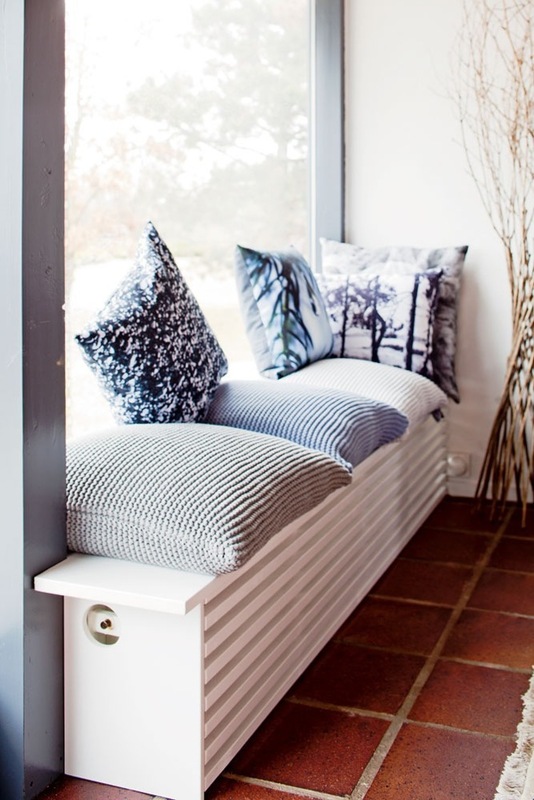 I especially like benches, as they not only look cozy but can also hide a lot of things. 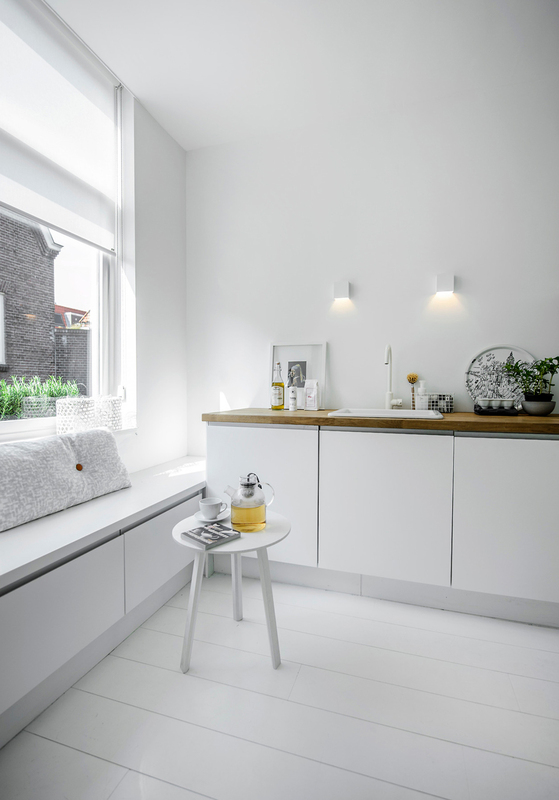 Some drawers or cabinets will not make any damage! Of course, it’s not obligatory as a mattress also is. 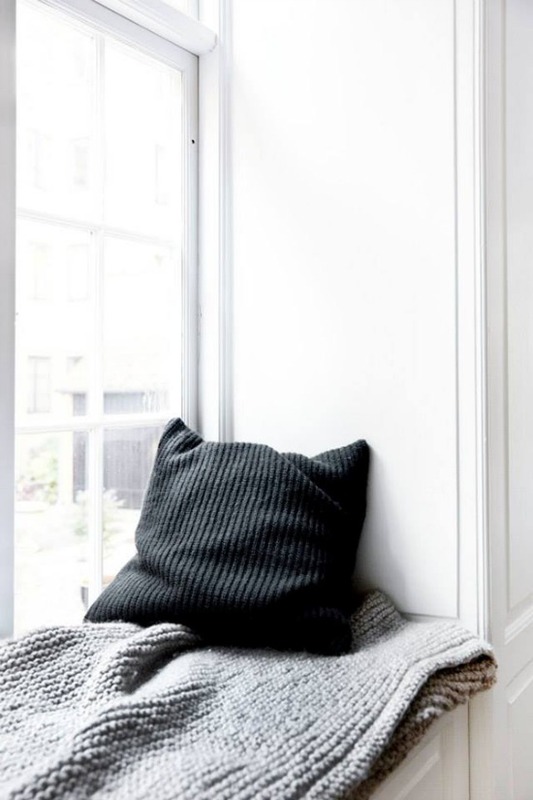 Pillows, I’d say, are compulsory – without them the bench itself looks cold, especially if that piece of furniture isn’t of classical style. 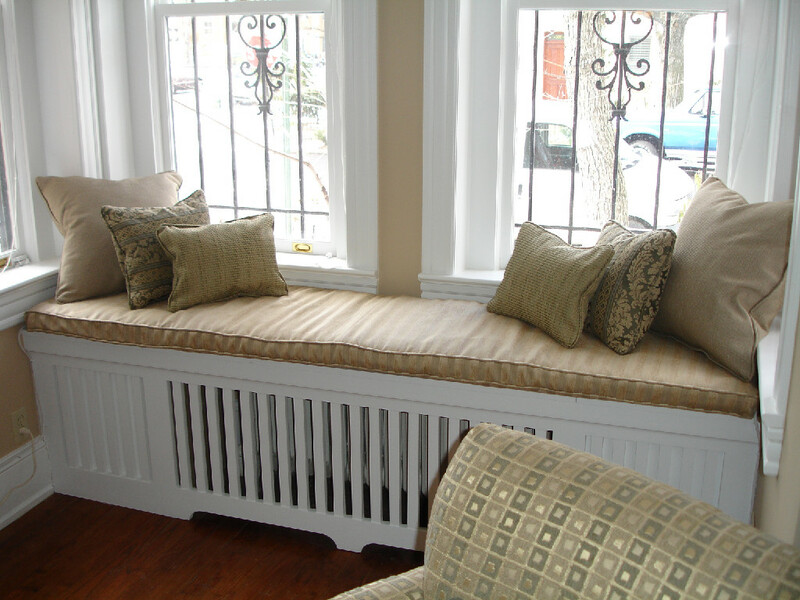 Classical style bench is charming only due to the fact that it’s full of itself that no additional attributes are needed. 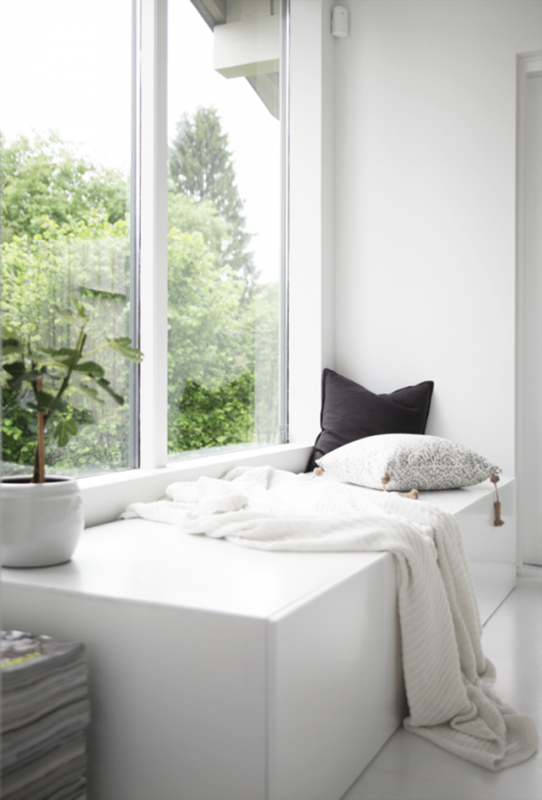 It was not random that I chose benches under the window – natural daylight and the view through the window creates a rather romantic mood and can even force to read a book. 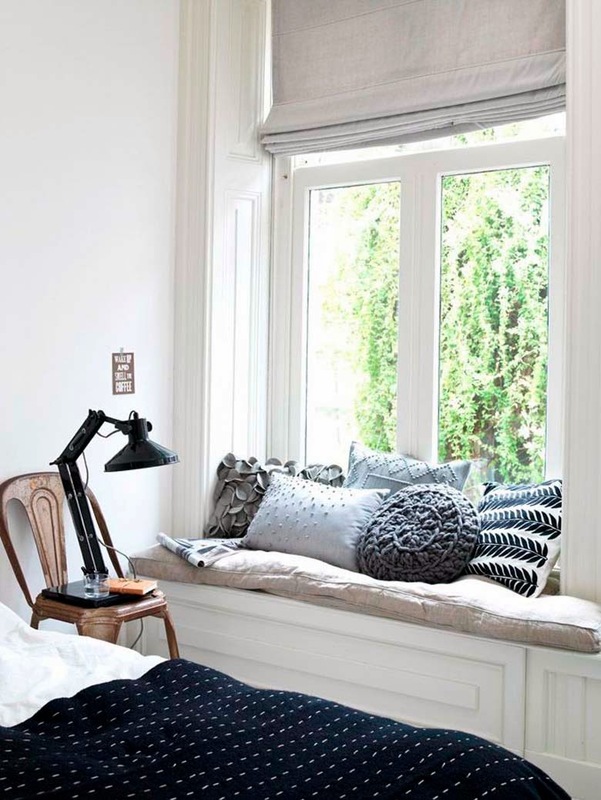 If you decide to make a bench yourself leave at least 40 cm to a window. 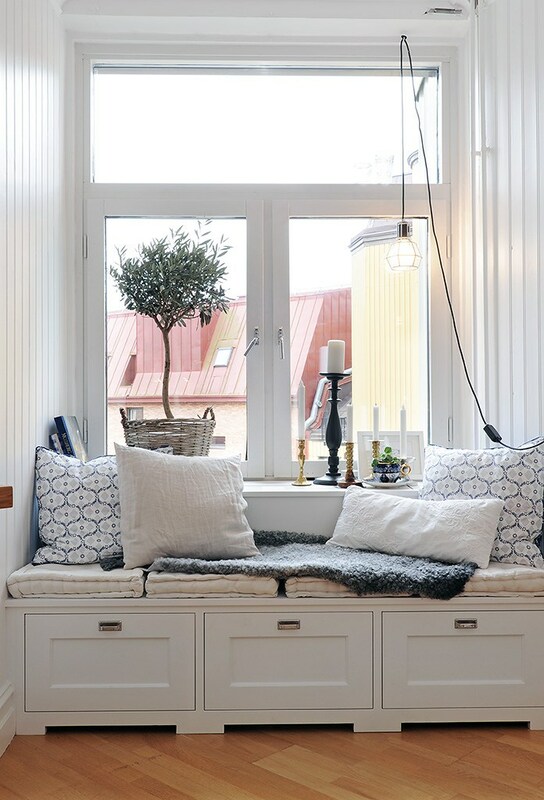 I upload a pair of videos: how to make a bench out of kitchen cabinets and a mattress.